This summer has been quite a washout. I was hoping my little race team would be trained and ready to compete this season, but apparently Mother Nature had different plans. We’ve gotten so much rain here in Lehigh Valley, PA, our creeks and rivers have been overflowing, trees have been uprooted, and there are even gardens sprouting from people’s gutters. Unfortunately, all of this rain has made it nearly impossible to give my racers any sort of consistent training regimen. Even super experienced pigeon fanciers, like my friend Jim, have had a tough season. As a result, I’ve decided not to race my birds this season. They’re simply not ready. While I’m a little disappointed about this change of plans, I think it’s the best decision in the long run. My birds’ safety and well being is my top priority. 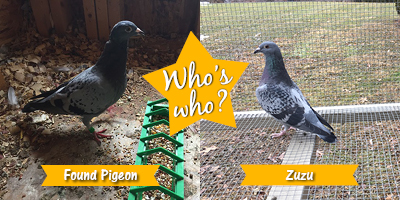 Plus, I’ve learned a lot over the past year in terms of how to care for and train racing pigeons, so I think we’ll all be better prepared for next race season. Thanks to everyone who has reached out to me in the days following Stara’s disappearance. Her absence has been felt deeply. Though we still haven’t seen wing or tail of her, two things happened that have renewed my hope. The first came a week after she disappeared. I received an email with the subject: FOUND PIGEON. Could it be? I wondered as I opened the message. The email was from a couple who lives in Boyertown, PA, which is about an hour southwest of me. 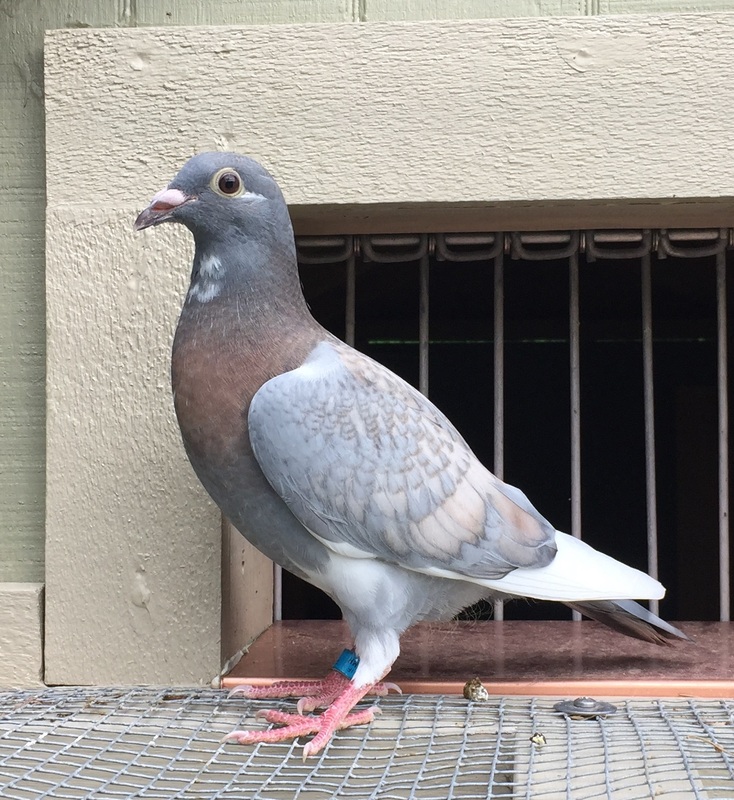 They found a lost racing pigeon, and a Google search steered them to my website where they learned about Stara. They provided a phone number and asked me to call them. My fingers were shaking with excitement as I dialed their number. I spoke with the husband, who told me the found pigeon’s race band number. Since I wasn’t at home and didn’t know Stara’s band number off the top off my head, I couldn’t be sure if it was her. So, I described her. White flight feathers. Taupe speckles on her wings. Blue race band. Yep. Yep. Yep. It sounded like a match. To confirm, the man sent me a photo of the found pigeon. Bottom line? It wasn’t her. 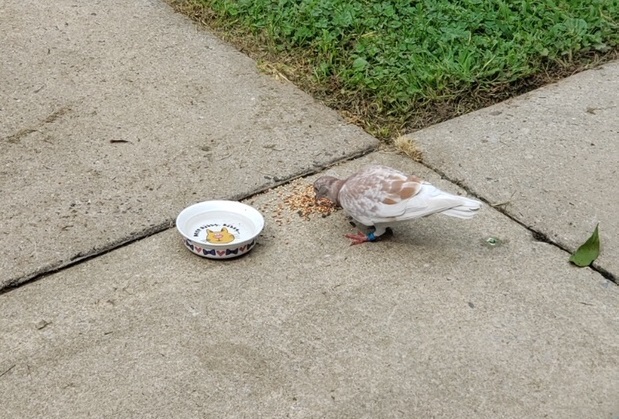 BUT…the found pigeon’s band number indicated that it was from Mingo Homing Club, which is the club my birds belong to, so I employed Jim’s help and within minutes we tracked down the correct owner. While I’m bummed that the found pigeon wasn’t Stara, I’m thrilled that I was able to help another lost racer find its way home. The second ray of hope came last week. I was out in the loft feeding my birds, and I did a double take when I realized that my flock of four racing pigeons suddenly contained five. Is Stara here? I wondered as I counted the birds and looked for her familiar feathers. It turned out we didn’t have Stara, but we suddenly had two Zuzus! I caught the visitor and checked its race band. Fortunately, it had a phone number right on it. So, I called the owner and made arrangements for him to pick her up. In the meantime, I made sure she had plenty of food, water, and no signs of injury. Again, I was bummed that Stara hadn’t returned but happy to help another lost racer find its way home. While I miss Stara dearly, these two experiences have reminded me not to lose hope. It’s entirely possible that she’s a found pigeon at someone else’s home. In the meantime, my heart (and trap door) remain open.